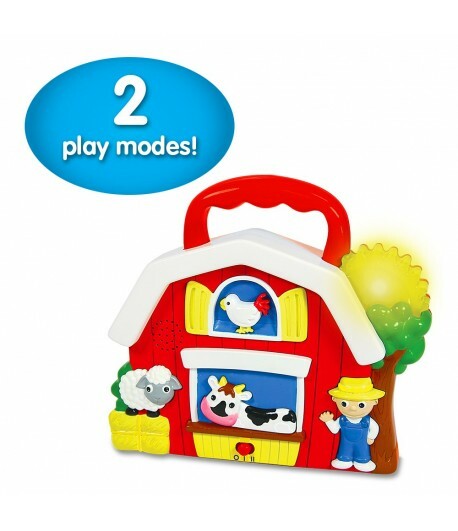 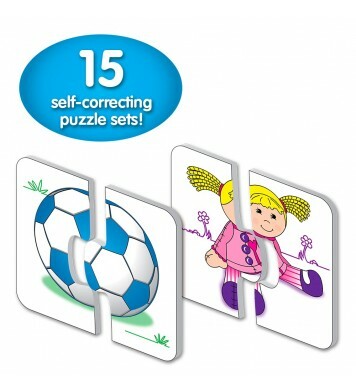 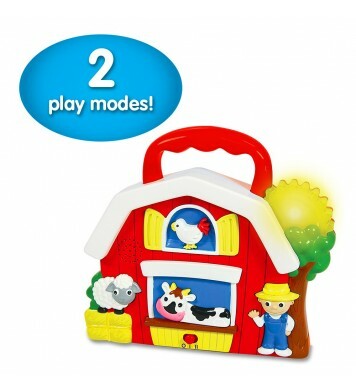 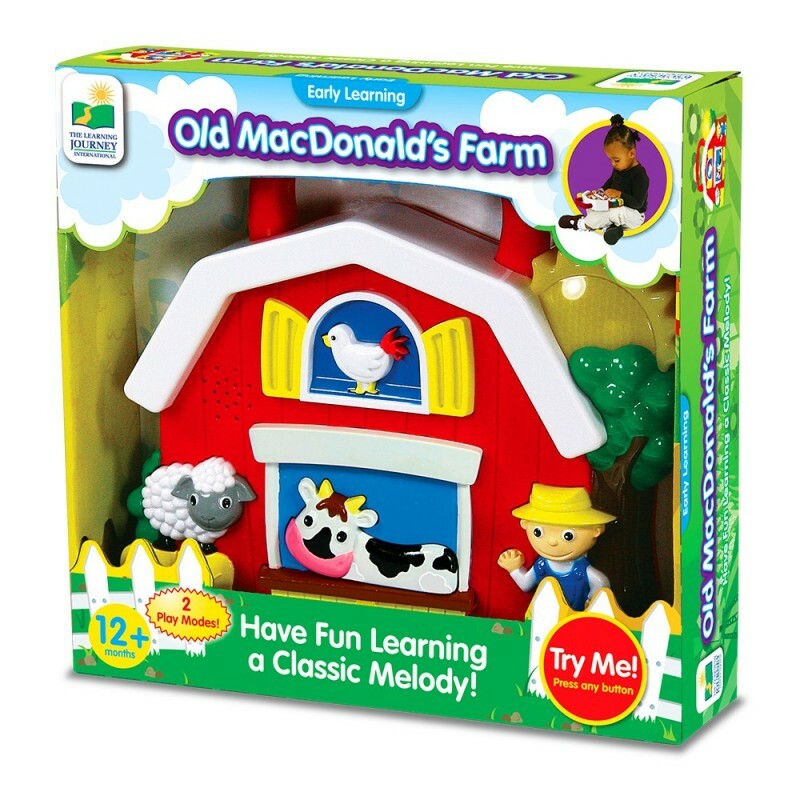 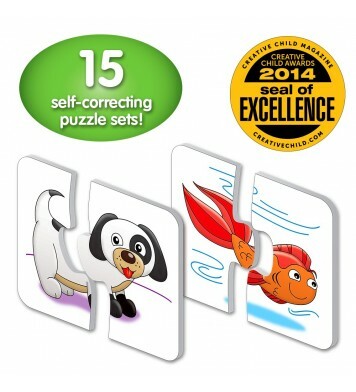 Young children will enjoy learning as they play with Old MacDonald s Farm! 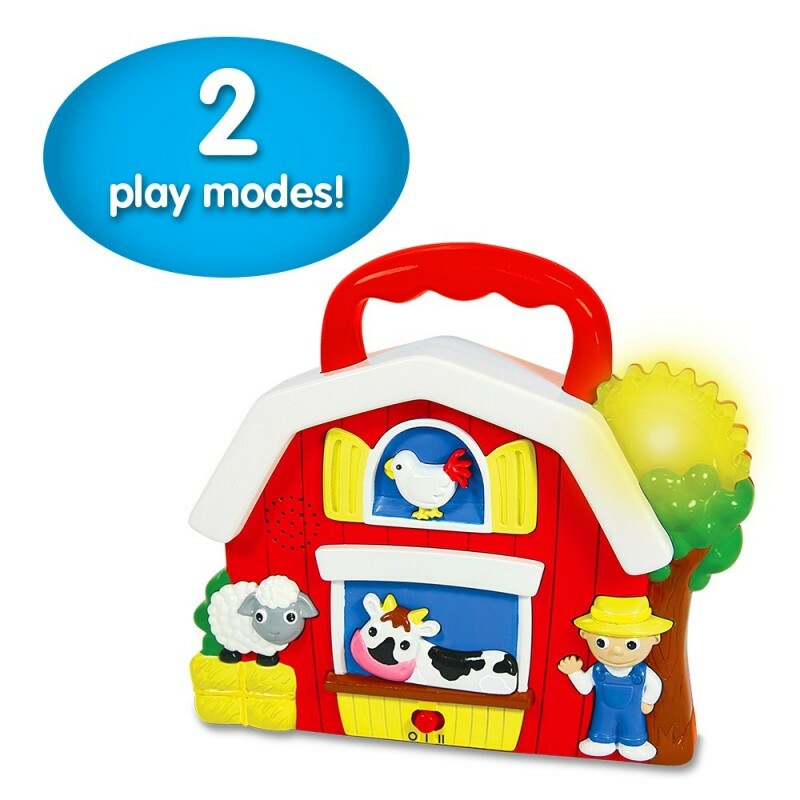 A large handle makes it easy for little hands to hold this portable unit, which features fun sound effects, a blinking light, four interactive buttons and the familiar Old MacDonald Had a Farm melody. 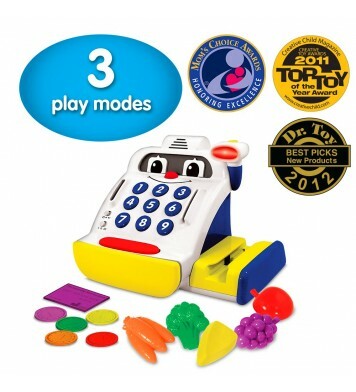 Requires 2 AA batteries (included). 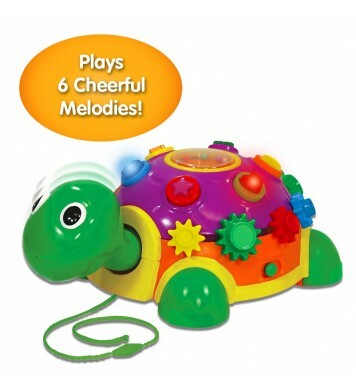 Recommended for children twelve months and up.